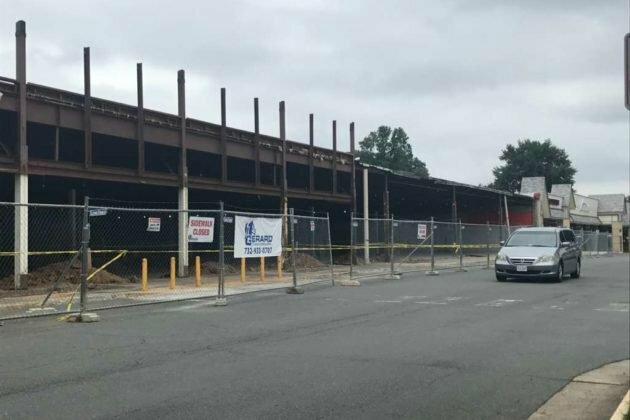 Sprouts Farmers Market grocery store will bring about 140 new jobs when it arrives in the Herndon Centre later this year as part of a broader expansion. The grocer announced today (Jan. 8) that it will open approximately 30 stores this year. 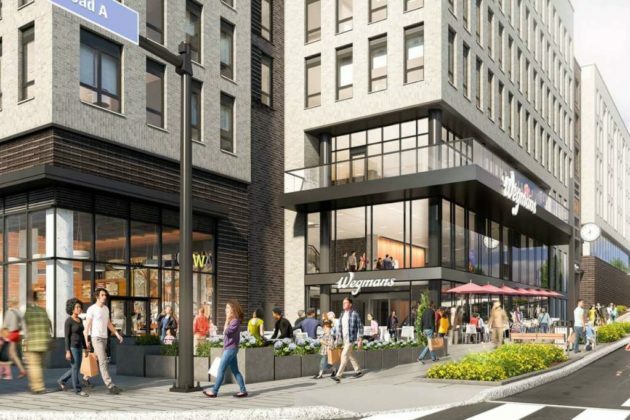 Nine of those stores are set to open in the second quarter of 2019, including the one at 494 Elden Street. With each new store, the grocer expects to bring 140 new jobs to each location, according to the press release. 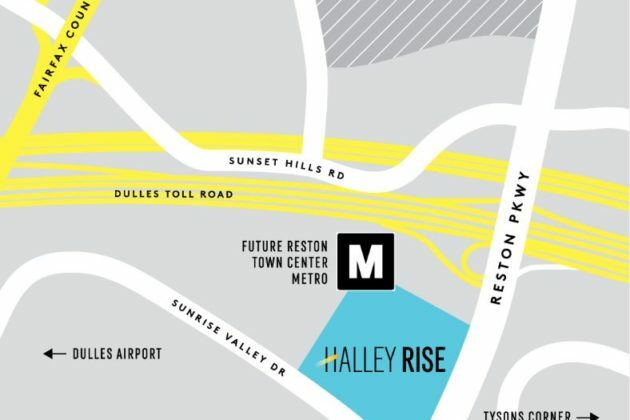 Reston Now previously reported in September that the natural and organic grocer would join part of the space vacated by Kmart. 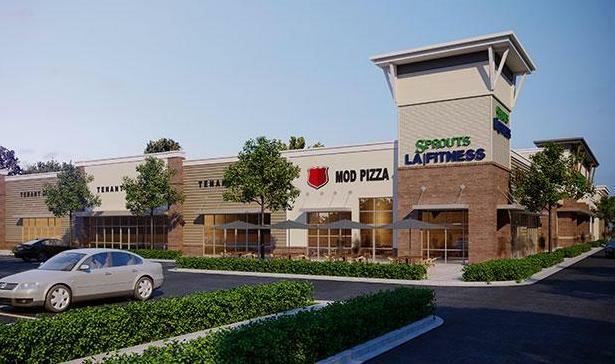 Construction is currently underway as Florida-based real estate investment firm Sterling Organization divides the former big box store into several businesses, including LA Fitness, MOD Pizza and IHOP. Started 16 years ago, Sprouts Farmers Market currently operates more than 300 stores in 19 states. Sprouts Farmers Market said that opening dates for each store will be shared separately. Shoppers at Herndon Centre might have noticed a few recent changes to its food offerings. Several locations in the shopping center have welcomed new grocery stores and restaurants this year — some of which relocated there — along with closures. 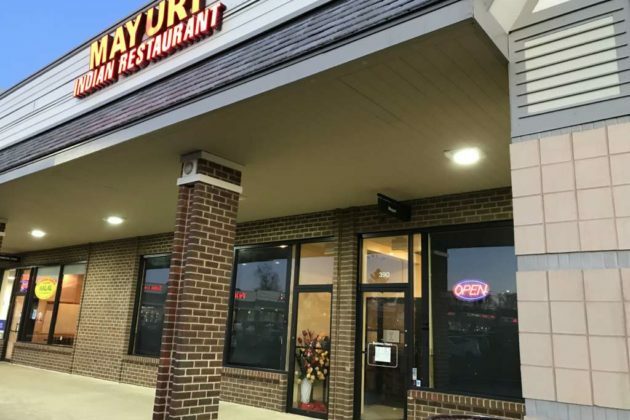 Mayuri Indian Restaurant moved to Herndon Centre in July to 390 Elden Street after it closed its Hunters Woods Village Center location in 2016. The restaurant closed its original spot of 10 years after the lease ended, according to the restaurant’s website. 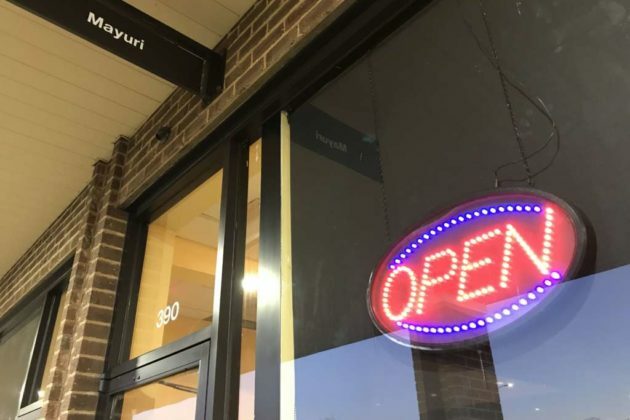 Mayuri’s Herndon Centre spot used to belong to Baker’s Inn Indian Bistro & Cafe, which opened in 2016, according to its Facebook page. While its closing date is unknown, the restaurant was still open in late June, according to Yelp reviews. 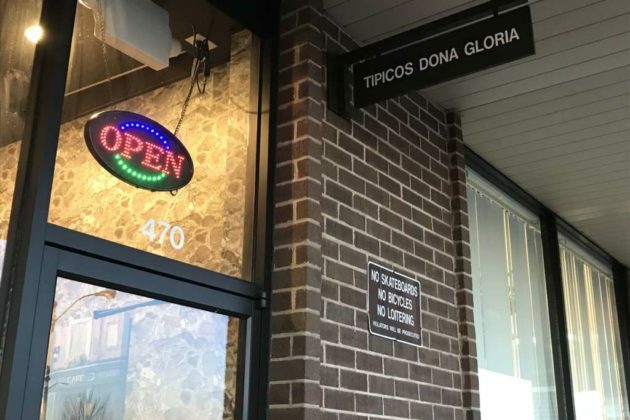 Tipicos Gloria relocated about 150 feet from its spot at 482 Elden Street to 470 Elden Street about five months ago, an employee told Reston Now. The Central American eatery’s vacated spot is slated to open early next year as Ramen and Rice, Reston Now previously reported. As for grocery options, ethnic grocer Lotte Plaza Market opened Dec. 7 at 490 Elden Street. 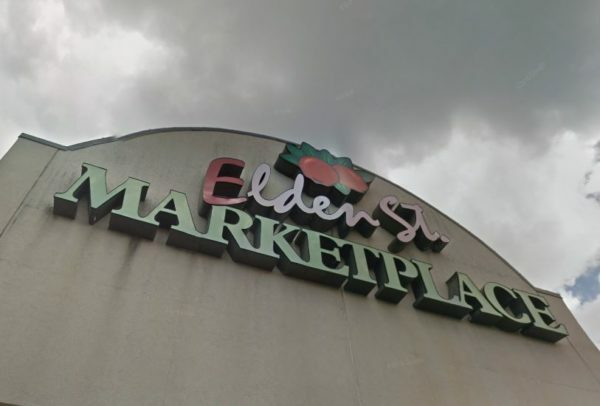 Sprouts Farmers Market grocery store is expected to take over part of the former Kmart space at 494 Elden Street. Demolition is still underway for that site. Florida-based real estate investment firm Sterling Organization is dividing the former Kmart spot, Reston Now previously reported. 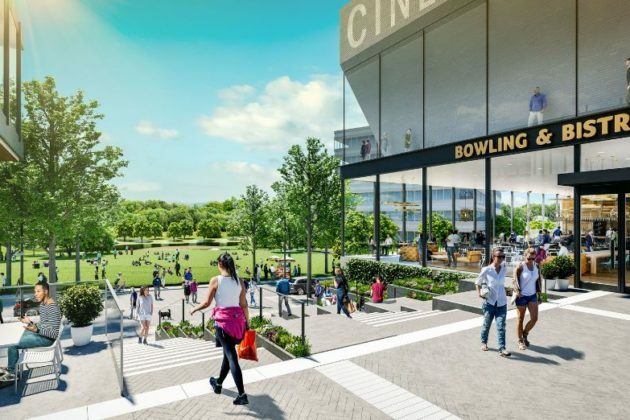 Renderings of the project submitted to the Town of Herndon show the site will be the future home of LA Fitness, MOD Pizza and IHOP. 380 Elden Street, which used to be a Sprint store, has signs indicating the space is available for retailers. Korean grocery chain H Mart will hold its grand opening this Saturday in the Elden Street Marketplace. 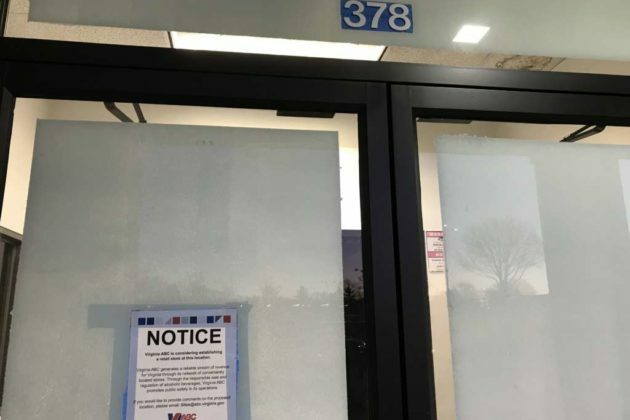 Located at 1228 Elden Street, H Mart is taking the spot vacated by Giant Food in November after it relocated to Centreville Road. H Mart, which is operated by the Hanahreum Group in New Jersey, describes itself a “one-stop shop for everything Asian and more.” The grocery chain has more than 60 stores across 12 states, including California, Illinois, Georgia and New York. 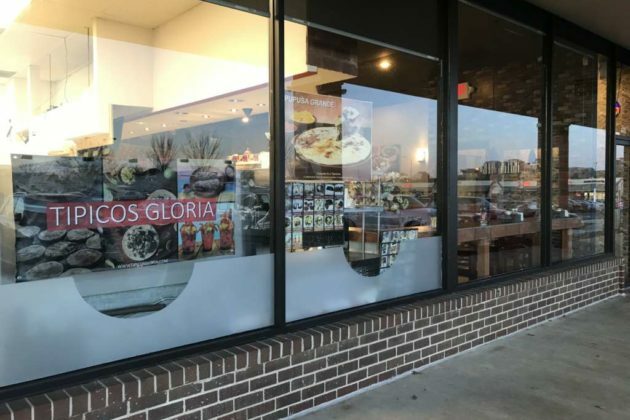 The Herndon opening will mark H Mart’s seventh store in Virginia, with stores already in Falls Church, Annadale and Fairfax, according to the website. The grand opening starts at 9 a.m. on Dec. 22 and will include free gifts for its Smart Card members and giveaways. Ethnic grocer Lotte Plaza Market officially opened last Friday (Dec. 7) in Herndon Centre. Located at 490 Elden Street, Lotte Plaza Market joins a growing number of grocery options in Herndon Centre. The shopping plaza is also home to MOM’s Organic Market. Sprouts Farmers Market grocery store is expected to take over part of the former Kmart space. Lotte Plaza Market describes itself as “the premier source for Asian groceries in Maryland and Virginia.” It has seven locations in Maryland, five in Virginia and one “coming soon” to Orlando, Fla. — with plans to open 50 locations by 2020, according to its site. 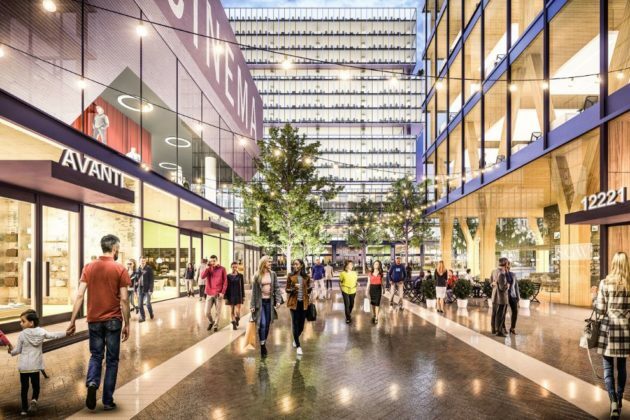 Reston Now previously reported that Lotte Plaza Market was set to open earlier this year. 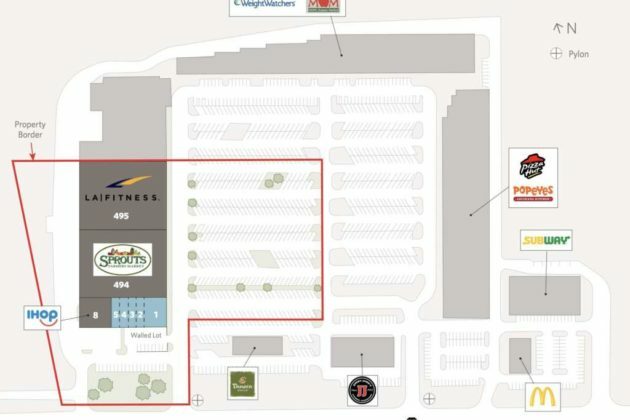 Sprouts Farmers Market grocery store is expected to take over part of the former Kmart footprint in Herndon, adding a second organic grocer to the Herndon Centre. The natural and organic grocer would join a shopping plaza that is also home to MOM’s Organic Market. Demolition of the facade of the 84,000-square-foot store (494 Elden Street) is underway as Florida-based real estate investment firm Sterling Organization divides the former big box store into several businesses. The company purchased the location for $7 million in August last year. The rest of the shopping plaza is owned by A.J. 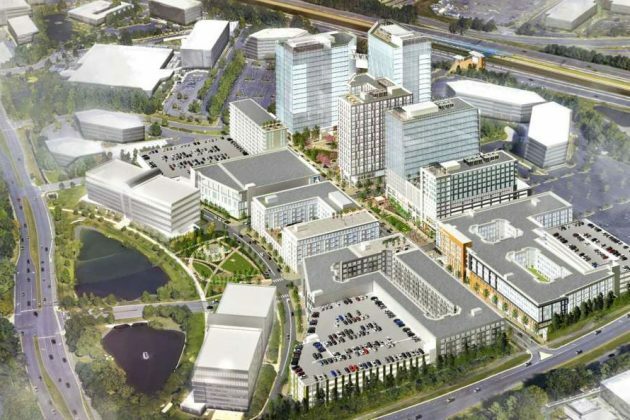 Dwoskin & Associates Inc.
Renderings of the project submitted to the Town of Herndon show the site will be the future home of LA Fitness, MOD Pizza, and IHOP. No overnight commuter parking will be allowed in the shopping plaza. 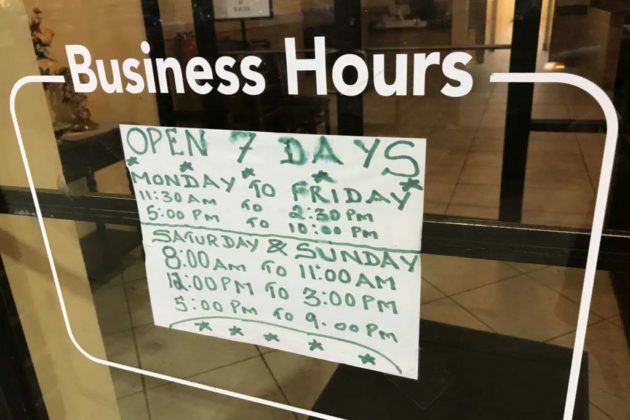 Town officials said they’re working with the developer of the property to add signalize the intersection near the shopping plaza, as new businesses are expected to generate additional traffic. The company has committed $165,000 in proffer funds to help install a future signal. The town expects to fund the remainder of the project through existing funds from its capital improvements program and future grant funding. A representative for the project declined to comment on the development, including details about the project timeline. What began as a small fruit stand in New York City just over a century ago, Balducci’s gourmet market has grown to be one of the leading stores of its kind, with locations spanning from Connecticut to Virginia. And just a few short weeks after the opening of its newest location in Reston Town Center, locals have been eagerly exploring its aisles. Customers can engage in a host of culinary activities — from grabbing a quick takeaway dinner of fresh Aurora salmon and delicious grilled Mexican corn to experimenting at the build-your-own poke bowl bar or sampling local micro-brews at the beer crowler bar. And if they’re not shopping they might be taking a moment to meet friends at the café for a fresh, seasonal salad al fresco. “What we’ve created here is a totally unique shopping experience — the ability to be immersed in a sensory way and to more fully engage with the people who live and breathe food — the chefs, the master butchers, the fish mongers. Online shopping is fantastic for the idea of convenience and time-saving, but something it can’t replace is the experience of a lively, interactive cooking demo or taking in the scent of your fresh-baked pizza pulled straight from the oven. Or how about sipping a glass of wine as you stock up on local produce for the week? Maybe sampling that new local cheese you’ve been wanting to try? We encourage everyone to come in and experience it all and we welcome you as our guests,” says Leonard Knight, General Store Manager at Balducci’s. In September, customers can get a sneak peak of the eagerly-awaited Chef’s Table during the soft launch from September 4 through September 24, when it will then offer a daily rotating menu, with meal options ranging from dry-aged beef sliders to customizable mac and cheese. Balducci’s is open seven days a week from 7 a.m.-10 p.m. and is located at 1871 Fountain Drive in Reston Town Center, in Reston, Virginia. For more information, visit balduccis.com/reston. 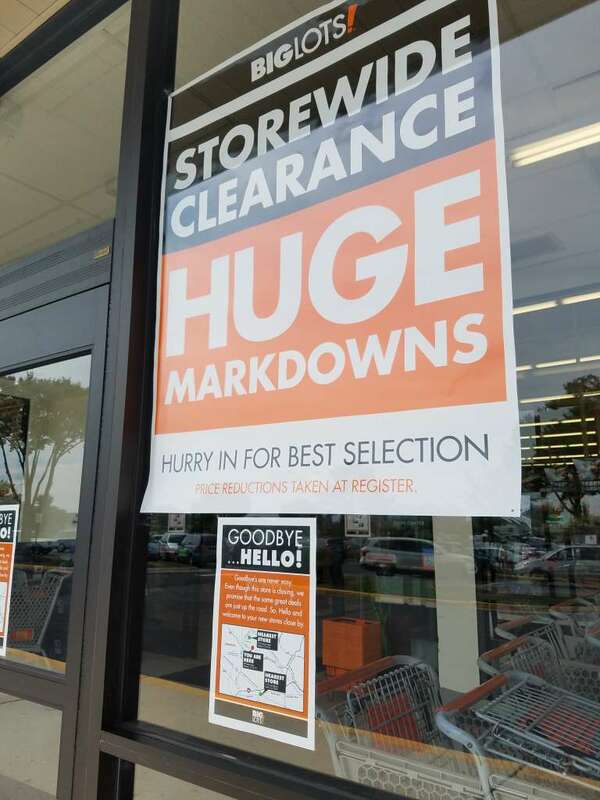 Local Big Lots fans will soon have farther to travel to get to their favorite discount store. The location at 490 Elden St. in the Herndon Centre plaza will close Oct. 15, a Big Lots media representative confirmed to Reston Now. 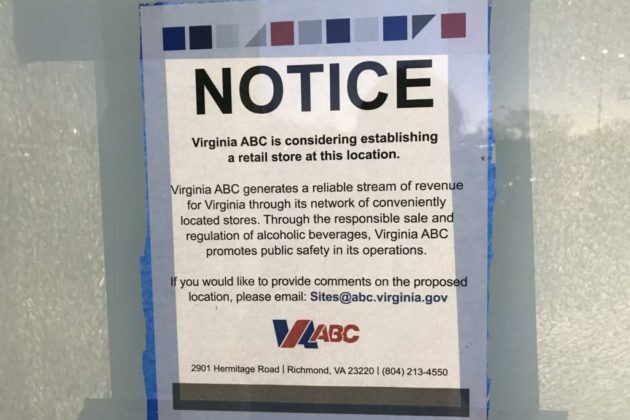 Signage now in place outside the store informs customers that after that date, they can visit locations in Sterling (300 Enterprise St.) and Fairfax (11181 Lee Highway). 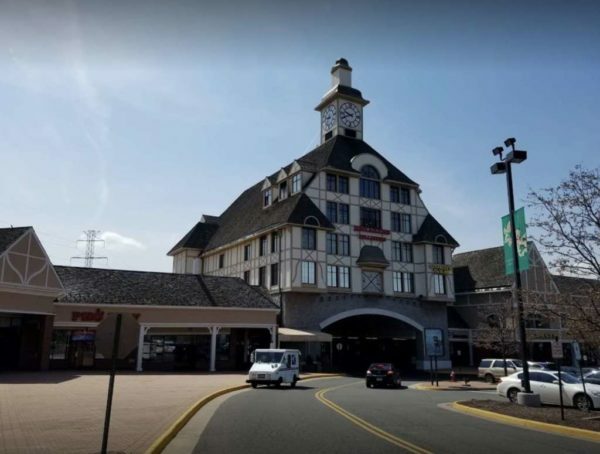 Lotte Plaza Market will be taking over the 26,000-square-foot Big Lots space in the spring, Herndon spokesperson Anne Papa Curtis confirmed to Reston Now. 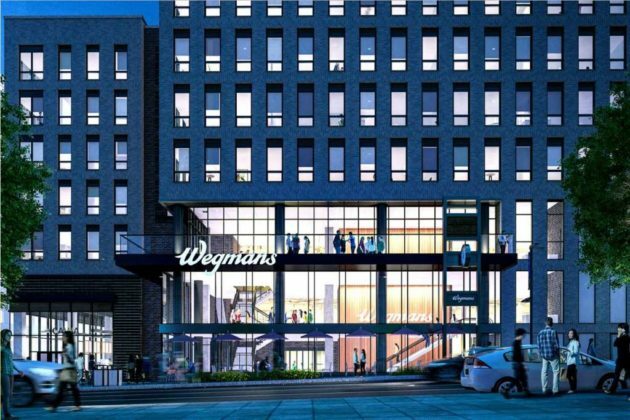 We first reported in July that the market, described on its website as “the premier source for Asian groceries in Maryland and Virginia,” would be opening in the plaza in early 2018. In the interim, a large percentage of the west side of the plaza will be vacant, following the closing of Kmart earlier this year. 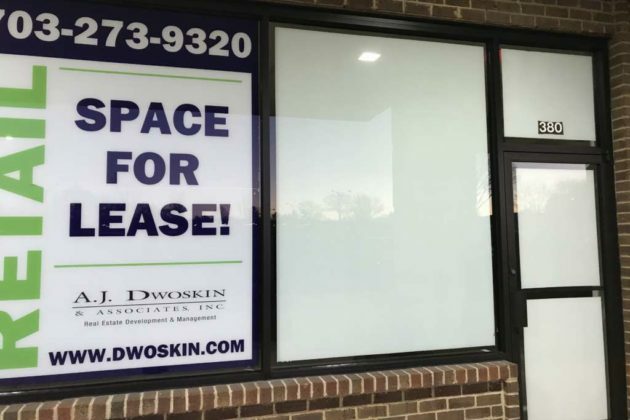 The 84,000-square-foot former department store space is expected to be broken up among several new businesses, Herndon Mayor Lisa Merkel said at the time of its closing. Herndon Centre is owned by A.J. Dwoskin & Associates Inc. 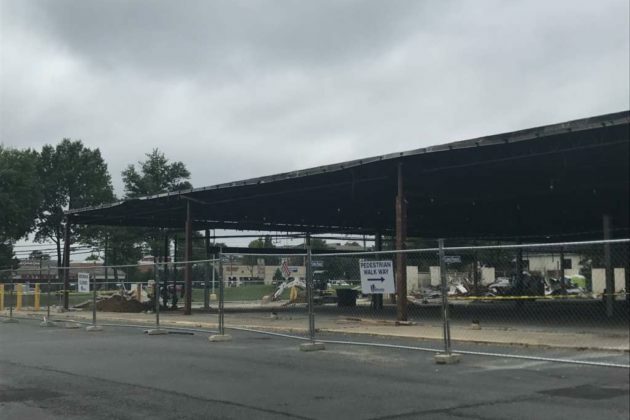 The Herndon Centre retail space (330-460 Elden St.) will soon become home to another shopping market. Ethnic grocer Lotte Plaza Market will open in the spring. 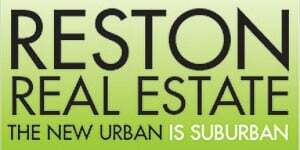 The news was confirmed to Reston Now by Dennis Holste, the Town of Herndon’s economic development manager. [Lotte Plaza Market] will be opening a new store in the Herndon Centre in spring, 2018. The store will not be opening in the K-Mart space. The new tenants for the K-Mart space have not been announced. 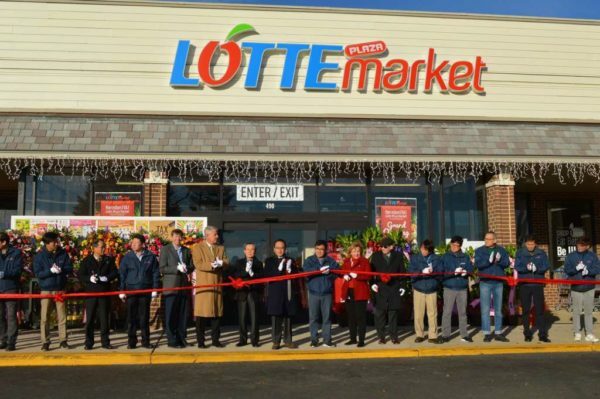 Lotte Plaza Market is described on its website as “the premier source for Asian groceries in Maryland and Virginia.” It currently has six locations in Maryland and four in Virginia — Annandale, Ashburn, Centreville and Chantilly — but plans to expand to a total of 50 in the next three years, according to its site.